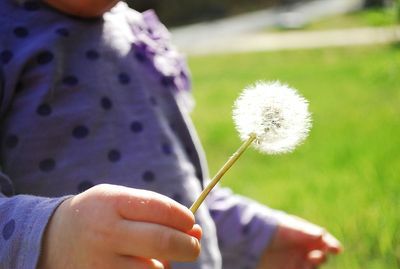 I learned that you can discover what time it is in fairy-land by blowing the seeds off an “old man” dandelion. How magical is that? Sarah Joy didn’t want to blow on the dandelion, so I handed it to Seth. I was captured by his sweet, and honest, little boy self. When we watch it, he laughs, and I think you will smile, too. How cute!Love how he shows off the egg at the end of the video! Cute video. It’s fun to find the child in us on occasion, and children are good at helping us to do that. Oh that Mr. Rogers quote is the best!!! Sethers is so dear, and I did indeed smile!!! I love Seth!!! That video is PRECIOUS; I watched it four or five times. But although Seth was the star, I was particularly entertained with Sarah’s expressions as she eyed her big brother – so funny and cute! She looked so prim, it seemed as though such things as dandelion-blowing were much too juvenile for her little ladylike self! LOLI keep forgetting to mention, we are naming our little girl GRACE! @angiearmour – Oh, Angie, it’s the very best girl’s name ever, in my opinion! I’m so happy for you! God’s grace is wonderful. I loved how he showed off the egg at the end:) So cute!! !